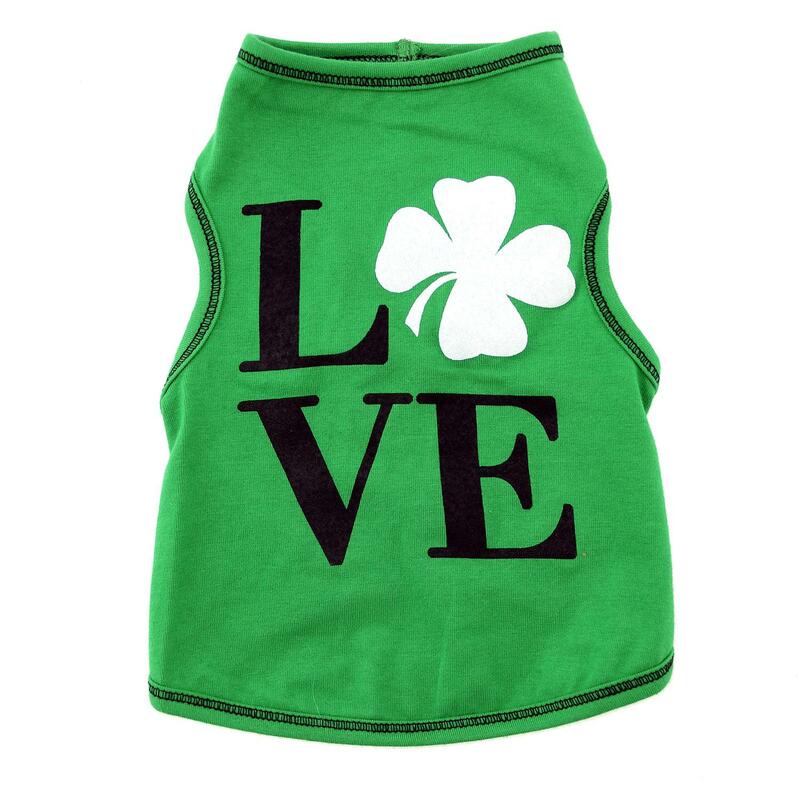 Have a bit of luck of the Irish with the Love Shamrock Dog Tank! 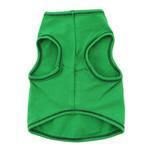 Your pet will feel lucky and loved while wearing this cheerful Love Shamrock Dog Tank in Green. This comfortable pet tank is perfect for your Irish Loving Dog! This dog tank top is made of super soft cotton with a hint of Lycra for a great fit! It's so comfortable, in fact, that your cat may want to borrow it. 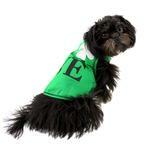 We love the Kelly green with bold letters that proclaim your feelings for your lucky pet. The white four-leaf clover will give your dog or cat even more to wish for - most likely some Irish treats! The high-cut tummy will keep your pet clean and dry. The contrast stitching adds pizzaz. You'll find that this is a tank top you'll use well beyond St. Patty's Day. It's great for layering, for keeping shedding and dander contained, and for protecting pets with skin conditions. Perfect for Irish dog breeds or Irish owners. Great for pictures and St. Patrick's Day parties and parades. Love Shamrock Dog Tank - Green Customer Photos - Send us your photo! Irish and Shamrock kind of dog! Posted On 03/22/17 by KATHRYN R from Rio Rancho, NM Yes, KATHRYN R recommends this product! Zora wore this several days besides St Patrick's Day and got plenty of compliments. Posted On 05/31/15 by Pamela N from Hatfield, PA Yes, Pamela N recommends this product! Shamrocks are Irish in every sense. Perfect for any Irish Family, and festivals or parties! Posted On 04/10/15 by Dawn M R from Farmington Hills, MI Yes, Dawn M R recommends this product! I just love this little tee; the shirt fits great and the colors and design are vibrant. This shirt is perfect for the Irish and Irish at heart; and can be worn year round.